Welcome! You have found your way to the largest listing of Hakuba self-contained accommodation options online. 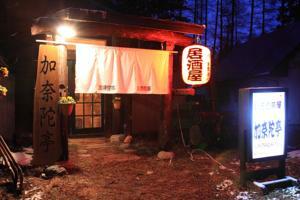 Hakuba self-catering accommodation is a great option for skiers visiting Japan. Hakuba Village offers a fantastic range of facilities including supermarkets and convenience stores, shuttle bus, restaurants, bars, chemist, hospital, banks/ATM’s, post office and a wide variety of retail ski and hire outlets. Having your own self-contained apartment or condo in Hakuba is popular with skiers and snowboarders due to the benefits of affordability, flexibility and and proximity to ski resorts and shuttle bus. All self-catering apartments and condos are fully self contained with kitchen or kitchenette and laundry facilities – a necessity for ski holidays and perfect for skiing families. After a day on the slopes make the most of your apartment accommodation – prepare some food, do the laundry, dry the ski gear, then relax and unwind. Located in the village of Happo and only a 4-minute walk from Happo One Ski Resort, Bluebird Apartments features modern rooms with free Wi-Fi and floor to ceiling views of the Northern Alps. Open in 2017, Avanti Chalet offers self-catering accommodation with Apple TV and Netflix plus a kitchen equipped with induction cookers, grill, microwave, dishwasher and oven. Ideally located a 5-minute walk from Happo One Ski Resort in Hakuba, Alps View Chalet provides cosy 3-bedroom accommodation with a fully-equipped kitchen, a lounge with high ceiling and 2 bathrooms. Boasting mountain views, Fuku Chalet is set around 2.3 km from Hakuba Iwatake Ski Area. Located 2km Happo One Ski Resort, Kitsune Cottages have a dining area and a kitchen fitted with a dishwasher, an oven, and a microwave. With only five minute walk to Happo-one Ski Resort, Gakuto Villas offers modern self-contained accommodation with a fully equipped kitchen, a flat-screen TV and free Wi-Fi. Nestled just 200 metres from the Hakuba 47 Ski Resort gondolas, Wasabi Mountainside Chalets offers ski slope views free WiFi access throughout the entire property. Kashibesso Hakuba Royal Cottages are American-style guest houses in Goryu containing two bedrooms, living room, dining room and kitchen. The Ridge Hotel and Apartments offers guests wi-fi, tv, kitchenette and balcony as well as having a bar/pub, restaurant and kids club onsite. Canadian Village offers the opportunity to rent by the room only whilst guests at Log Cottage Epoch can rent out an entire cottage. Situated a 2-minute drive from Hakuba 47 Ski Resort, Balls Deep Inn Villas offers self-contained cosy villas fitted with natural wooden décor and stylish furnishings. 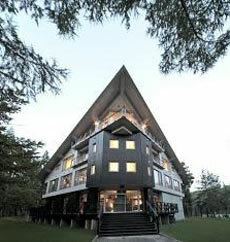 Other self contained accommodation in Hakuba includes Big Bear Chalets & Apartments – offering well-appointed accommodation fitted with kitchen facilities and an en suite bathroom, Seventh Heaven – a ten bedroom house in Hakuba that can be rented for private use, plus the Hotel Hakuba where each room has a kitchenette and a pantry with a microwave and a fridge. 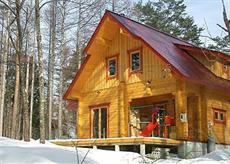 Other Hakuba cabins and condo options include Alpine Chalets, Hakuba Downtown Apartments, Hakuba Forest House and Montblanc Hakuba. 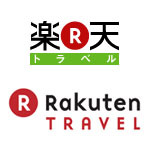 Aside from Hakuba self-contained accommodation, condominiums, cabins, cottages, apartments and self catering accommodation we offer a wide range of over 100 hotels, pension, ski lodges, ryokan, inns, ski in ski out, and luxury accommodation in Hakuba. 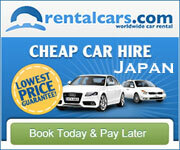 Book online and get instant confirmation. With only five minute walk to Happo-one Ski Resort, Gakuto Villas in Hakuba offers private self-contained accommodation including a fully equipped kitchen, a seating area with a flat-screen TV and free Wi-Fi internet. 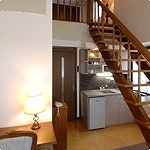 Each stylish maisonette-type villa at Gakuto Villas Hakuba has 2 bedrooms and 2 bathrooms. English-language TV channels and a DVD player are on offer. Additional guest services include room service, babysitting/childcare, laundry, free shuttle bus and resort ski passes. 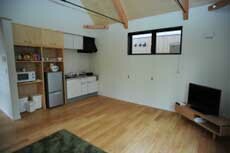 Alpine Chalets provide large rooms in their self contained accommodation in Hakuba. 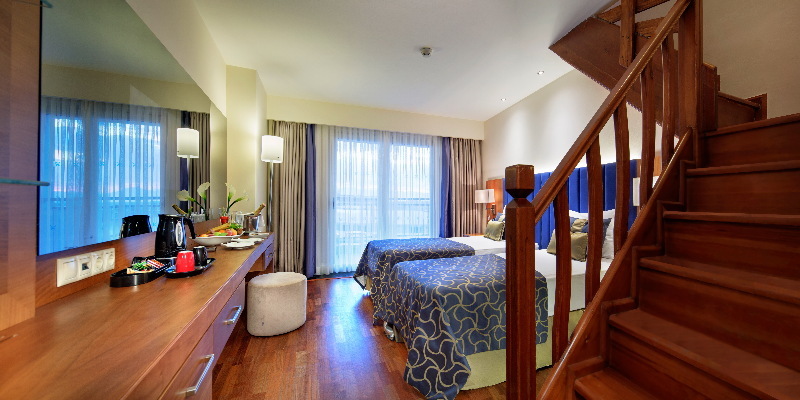 Each room includes kitchenette, non smoking rooms, hair dryer and LAN internet access. Easy walk to Cherry Pub plus also Echoland restaurants & bars. Ski hire service close by. Tours arranged and free parking available. Situated a 2-minute drive from Hakuba 47 Ski Resort, Balls Deep Inn Villas offers self-contained cosy villas fitted with natural wooden décor and stylish furnishings. Free shuttles to/from the ski resort are provided. Free Wi-Fi is available throughout the property, and guests with a valid driver’s licence can borrow a car during their stay. Seventh Heaven is a 10-bedroom house in Hakuba that can be rented for private use. It is a 5-minute walk from the Echoland area with a resort shuttle stop nearby. The house has free Wi-Fi throughout plus a PC and a DVD player. Guests at Seventh Heaven Hakuba can enjoy the spacious fireplace lounge, bar, dining room, large fully equipped kitchen, drying room for ski gear plus washer and dryer. 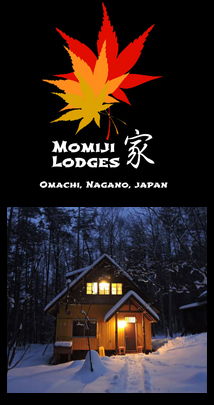 Log House Maki Nestled amidst the tranquil woods of Hakuba, Phoenix Hotel Hakuba (also known as Log House Maki) in Wadano no Mori (see map) can accommodate six adults with its three bedroom, three bathroom facility. Despite its rustic setting, it also boasts a big-screen LCD TV, washer and dryer, and more. There is even a barbeque set available for rent. 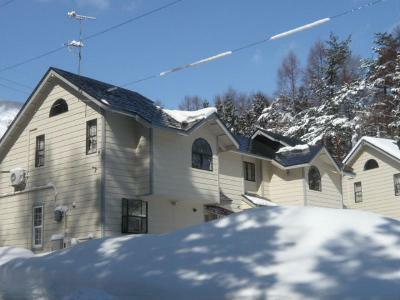 This Hakuba self-contained accommodation is ideal for two or three couples. 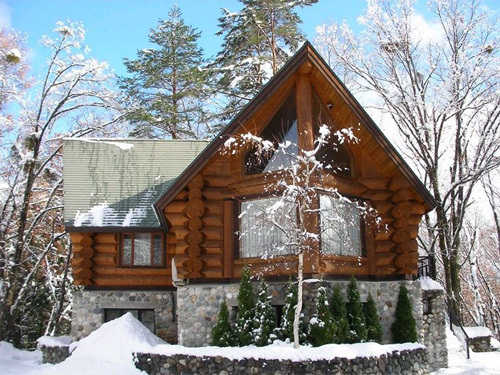 Condo Hakuba Goryu is a western-style condominium perfectly located as a ski-in/ski-out condo on Hakuba Goryu Ski Resort and ideally situated for family groups with small children. 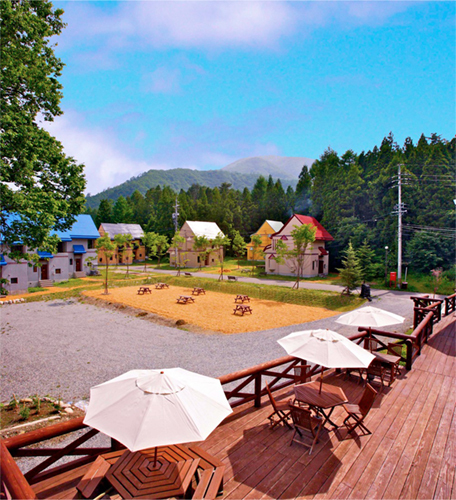 Nearby Goryu Iimori Ski Resort offers a day-care centre for children. Shuttle bus service to/from other ski resorts and local super markets is available. Condo Hakuba Goryu offers three different unit types. 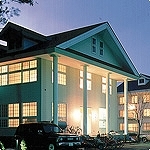 Condo Hakuba Excel provides Western-style condominiums located in a quiet forest in Hakuba. 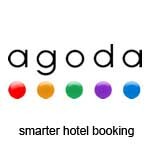 There is easy access to various Hakuba ski resorts; 5 minutes to Goryu and Hakuba 47, 7 minutes to Happo-one, 12 minutes to Iwatake, and 30 minutes to Tsugaike by car. A shuttle bus service to/from the local ski resorts and supermarkets is also available. 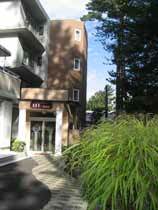 Condo Hakuba Excel offers three different unit types. Big Bear Chalets & Apartments offers well-appointed accommodation fitted with kitchen facilities and an en suite bathroom. 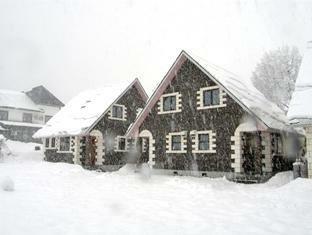 Chalets are made with natural timbers, and apartments feature modern designs. 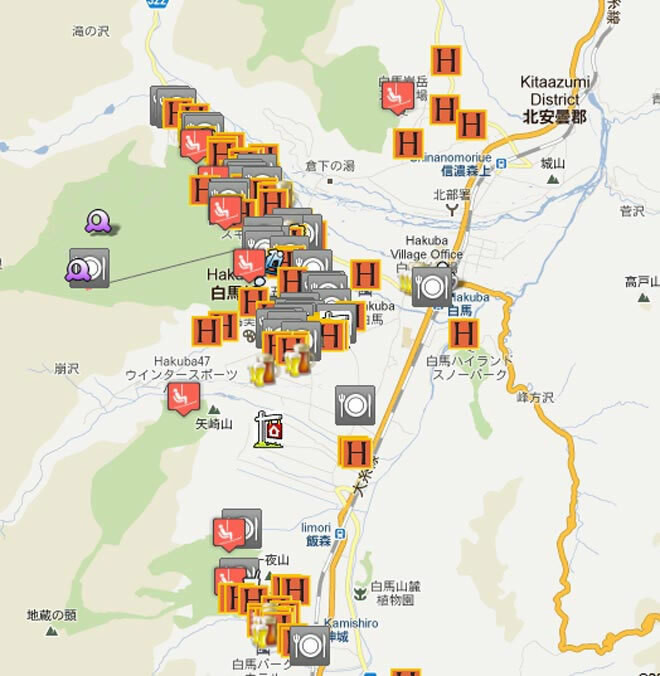 They are situated in different locations in Hakuba. 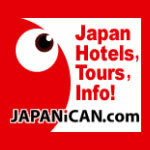 Free Wi-Fi is available, and shuttle services from JR Hakuba Station and to ski resorts and supermarkets are provided. 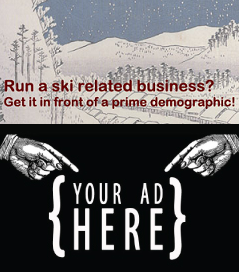 Log Cottage Epoch is only 10 minute walk from Happo One Ski Resort. 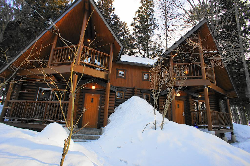 Guests at Log Cottage Epoch can rent out the entire cottage. 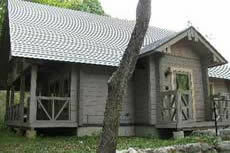 Each spacious cottage comes with free Wi-Fi and includes a kitchen and a living room. JR Hakuba Train Station is a 10-minute drive away. 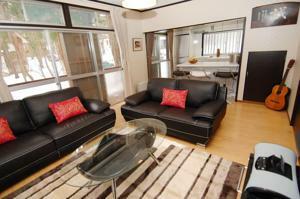 All cottages feature air conditioning/heating facilities, garden views and a living room with a sofa. 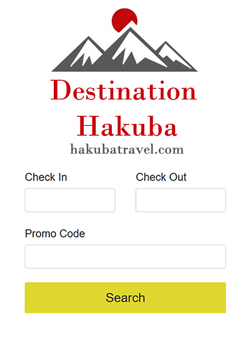 Search Hakuba Self contained Accommodation with our valued partners – get instant confirmation!